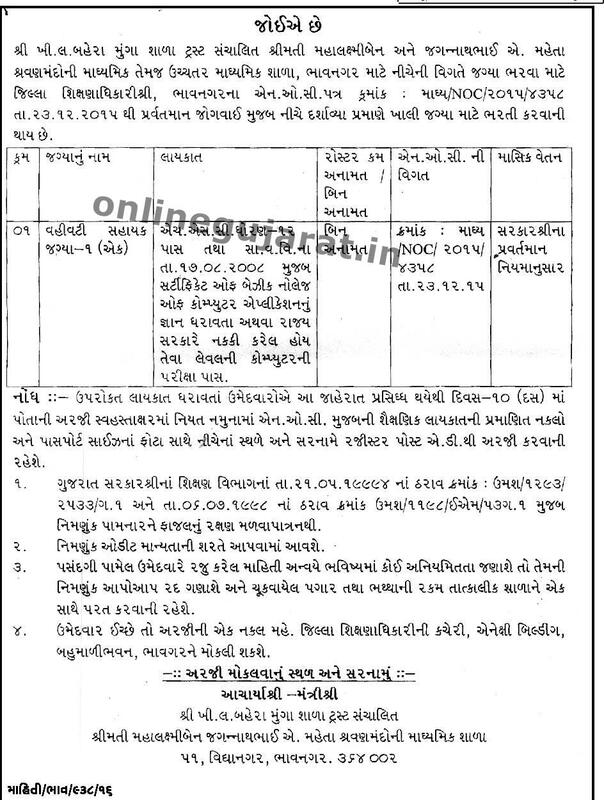 Secondary & Higher Seconadry School , Bhavnagar published notification for recruitment for below mention post . For more details about this recruitment like, educational qualification, age limit, selection procedure, how to apply as under. You can view more details about this recruitment by following link. Educational Qualification : H.S.C PASS + Computer Knowledge Require . How to Apply: interested candidates Send Their application at below mentioned address Before 10 Days Of Adv. Published By Ragi. E.D . .